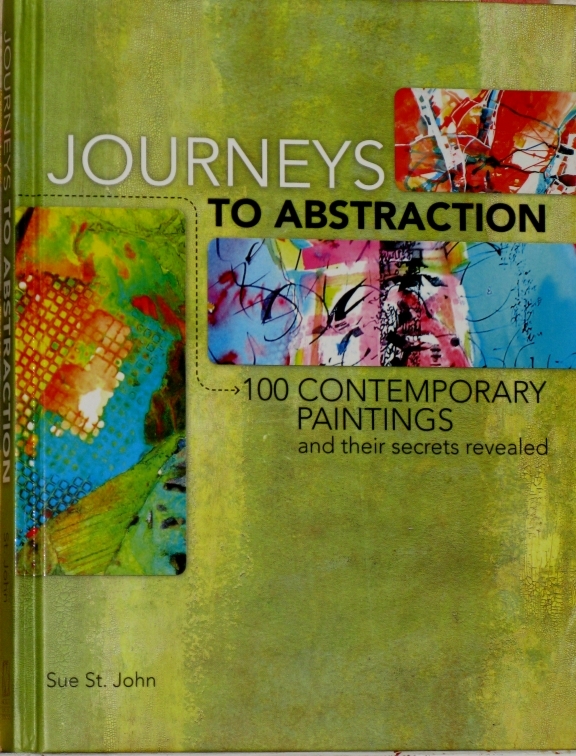 What a great time to receive my copy of the new book, Journeys to Abstraction, by Sue St. John…….. I have two paintings included in this book…..one acrylic on canvas, and one encaustic/mixed media on wood panels. I have have been worrying around with packing, un-packing, re-arranging for my month long trip to Italy. A good break was called for and this book provided me a little down time. I have been introduced to a number of artists I didn’t know before and that is always a lot of fun. The text and the copies of the work is also really great. I know that ebooks might be the future, but I still mostly enjoy holding that book in my hands and sitting down to browse through the book wherever I might open it. Thank you for including me in this book and your first e-book, Sue……. OR to buy this new book from Amazon..